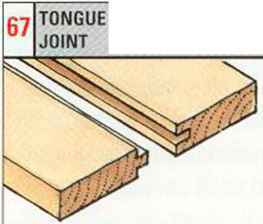 Before you can exercise your woodworking skills, you have to decide which joint will best suit your needs; given that there are so many to choose from, making the right choice is not as easy at it might seem. 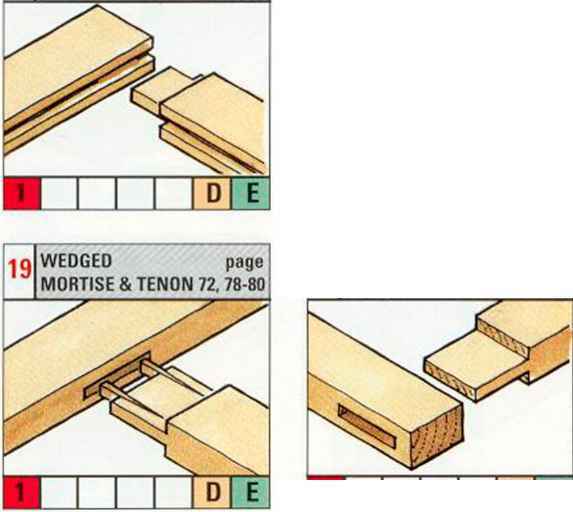 These charts suggest not only which joints to consider for a wide variety of applications, but also what tools you can use and what materials will be suitable. 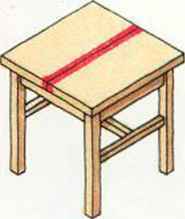 From the diagrams ranged along the top of the charts, select the application that most closely represents the item you want to make. 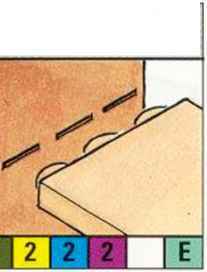 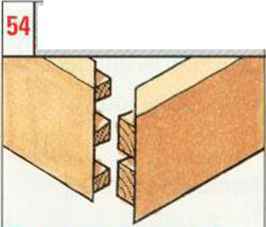 For example, do you want to join chair legs to a seat rail, or the corners of a cabinet, or do you want to know what joints to use for constructing frames or drawers? 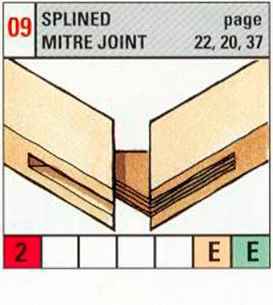 Having found the diagram that includes the type of joint you need, match the numbers below it with those found in the top left-hand corner of recommended joints illustrated in the chart. 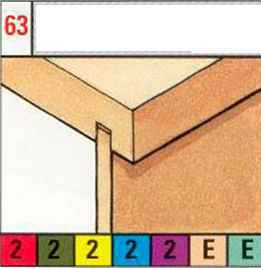 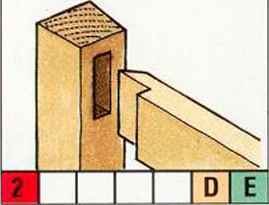 Each illustration also includes a colour box that indicates whether it is possible to make that particular joint with handtools or machine tools. 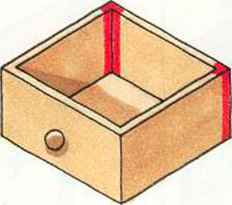 The letter on the colour box indicates whether it is relatively easy (E) or difficult (D) to make with those tools (see key below). 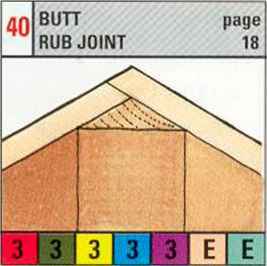 suitable for the material you are intending to use. 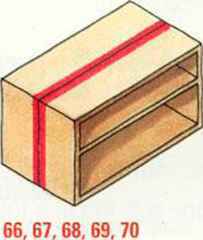 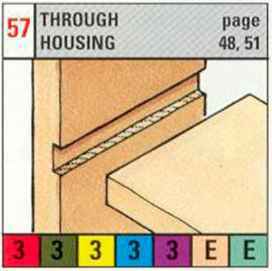 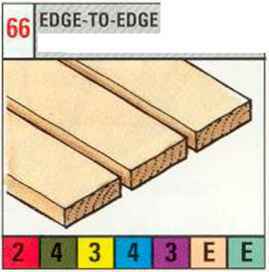 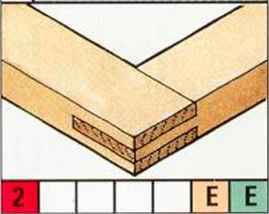 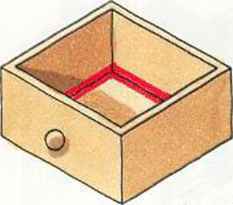 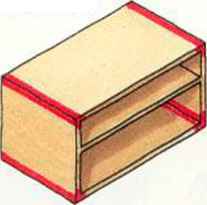 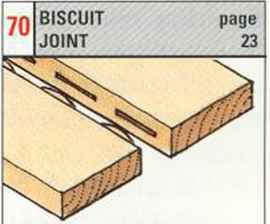 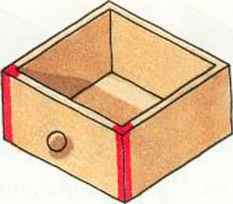 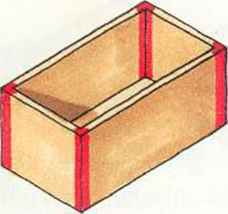 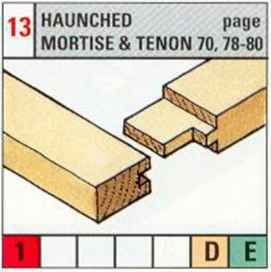 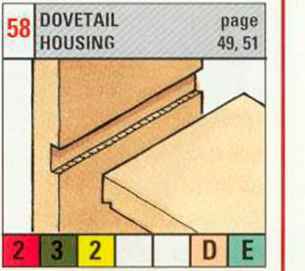 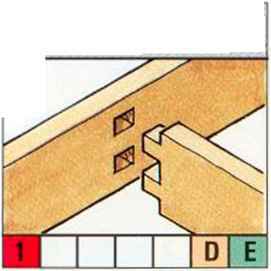 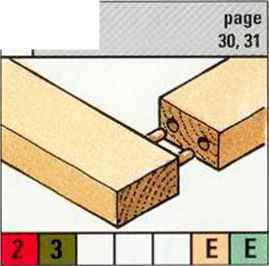 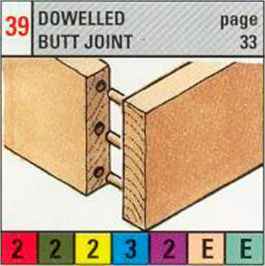 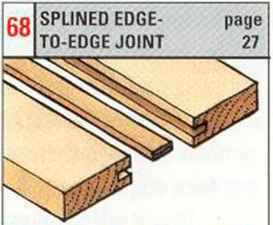 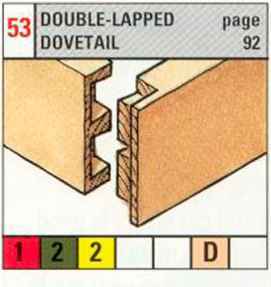 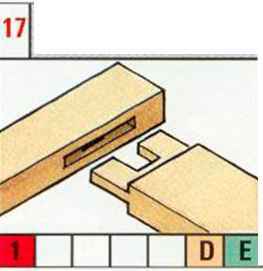 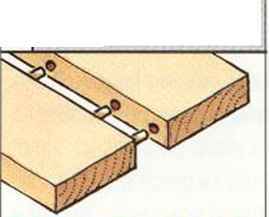 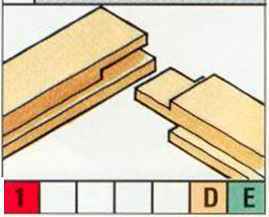 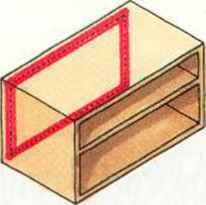 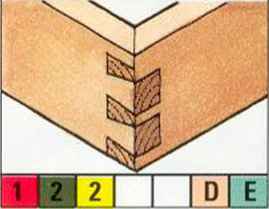 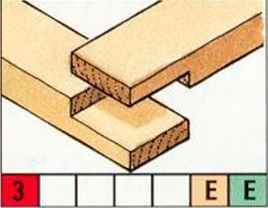 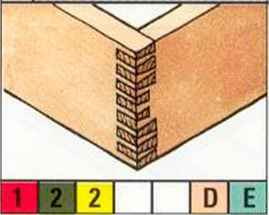 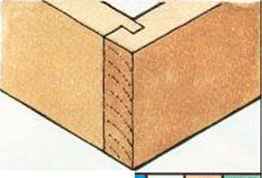 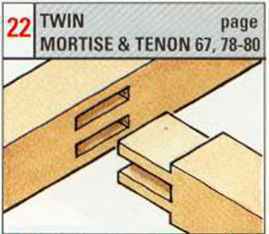 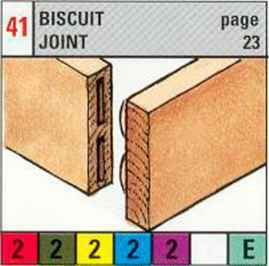 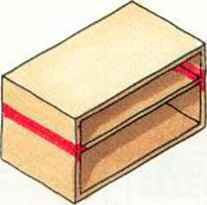 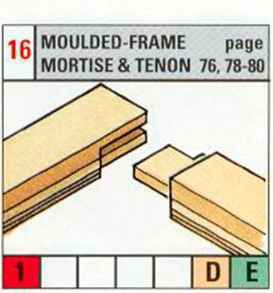 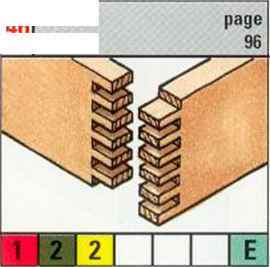 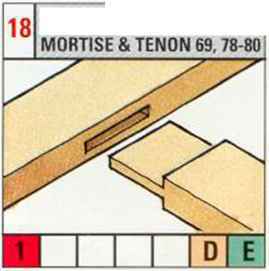 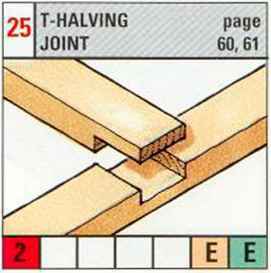 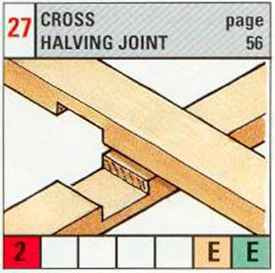 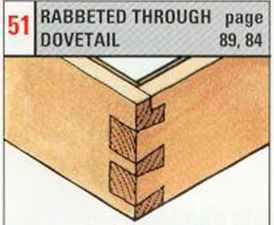 Thus, a red box containing number 2 indicates that the joint will be good for solid-wood construction (see key below). 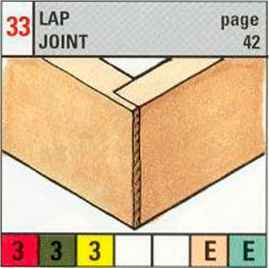 Finally, the numbers in the top right-hand corner of each illustration refer you to the page or pages where the construction of each joint is described in full. 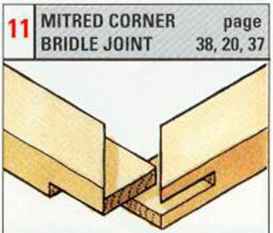 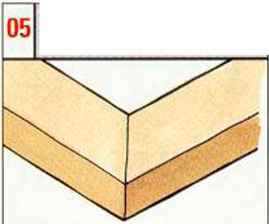 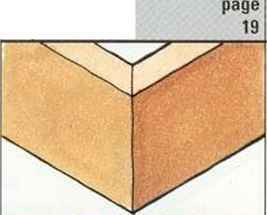 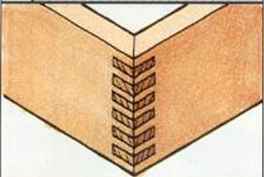 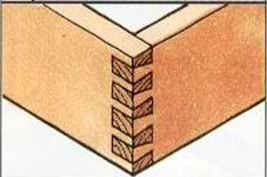 How to make wood canvas mitre joints? 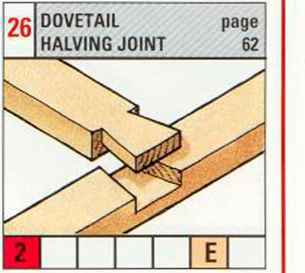 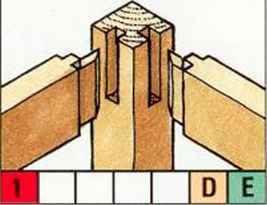 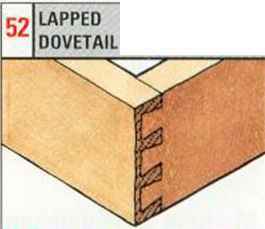 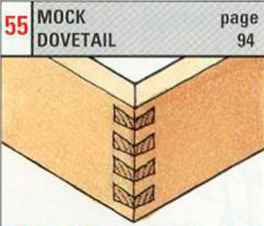 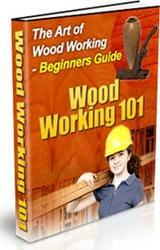 How to make a dowel joint? 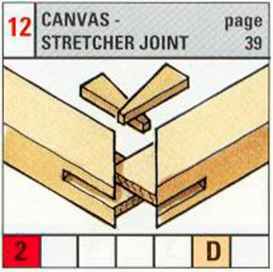 How to make a canvas frame joint? 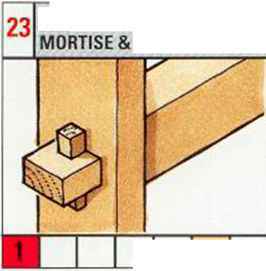 How to make a mortise and tenon joint of a canvas? 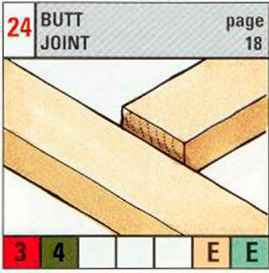 How to select the right joint for project wood?